Discussions Magazine Music Blog: AFI side project BLAQK AUDIO to release new album, MATERIAL! 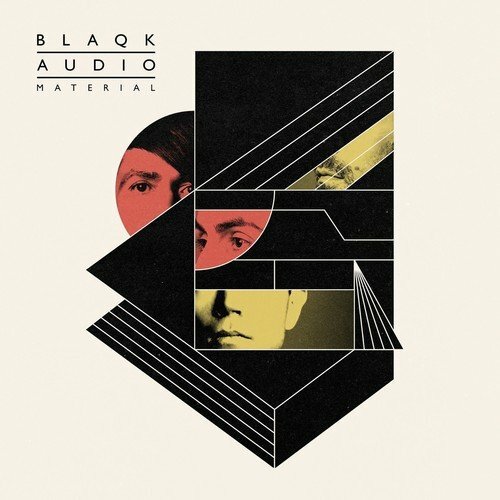 AFI side project BLAQK AUDIO to release new album, MATERIAL! Blaqk Audio, the electronic side endeavor of AFI's Jade Puget and Davey Havok debuting August 14 in the form of the debut album CexCells actually had its genesis some five or six years ago even further back if one considers the duo's shared love for the electronic music of the 1980s. Mixed by Dave Bascombe (Depeche Mode, Tears For Fears, Suede), CexCells expands upon and fully indulges the dark electronic textures that have influenced and pervaded the duo's work for years. The results range from evocation of prime era Depeche Mode and early Ministry ("Stiff Kittens," "Where Would You Like Them Left?," "Bitter For Sweet") to four on the floor club-friendly fare ("On A Friday," "Snuff on Digital"-the latter being the first song written for the project, dating back to 2001-2002) to vulnerable balladry ("Wake Up, Open the Door and Escape to the Sea," "The Fear of Being Found")- all suffused with the common threads of Havok's signature dark vocal and lyrical stylings and Puget's epic, emotional arrangements.